‘Kiss and ride’ zones are designed to allow drivers to stop and drop off or pick up people for a maximum of a few minutes. 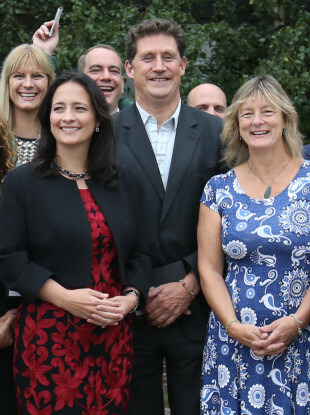 Green Party Leader Eamon Ryan, TD Catherine Martin and Senator Grace O’Sullivan. THE GREEN PARTY HAS published its new commuters charter which calls for more ‘kiss and ride’ facilities to be rolled out around the country. The charter, which is published ahead of the party’s think-in, calls for the increased provision of these zones which are designed to allow drivers to stop and drop off or pick up people for a maximum of a few minutes. The ‘kiss and ride’ areas or ‘drop-off’ zones are a common feature in other countries around the world such as New Zealand, South Africa, Germany and Poland, with the signage for ’kiss-and-ride’ zones often turning heads. In addition, the party wants to see an increased provision of park and ride facilities, a reduction in parking charges in under-utilised park and ride areas, as well as the expansion of commuter car-parking in key commuter towns. increasing the subvention to operators by €40 million. Extending the areas in which the LEAP card can be used is also in the charter, with a suggestion of integrating the LEAP card into bank debit cards, as is the case in London. Additional express buses for long-distance commutes from Drogheda, Dundalk, Mullingar, Tullamore, Portlaoise, Carlow, Arklow and Gorey should be rolled out, according to the party’s new document. It also calls for a number of key rail routes including lines in Limerick, Waterford, Sligo, and Derry. “We believe government should prioritise funding for the Kildare Route Project Phase 2, the Navan Railway Line and the Interconnector (DART Underground) between Spencer Dock and Inchicore,” states the report. The party has selected 13 candidates and is adopting a mandatory 30% gender quota for the local elections. In total the party is looking to double its representation on local authorities – targeting 25 seats. Email “The Green Party want more 'kiss and ride' zones around the country (but it's not what you think)”. Feedback on “The Green Party want more 'kiss and ride' zones around the country (but it's not what you think)”.